« Lost with no Internet? Let Trip Barker show you the way home! The Trip Barker Development Team and EACOMM Management along with DOTC Secretary Joseph Emilio Abaya and other organizers and sponsors of the event. 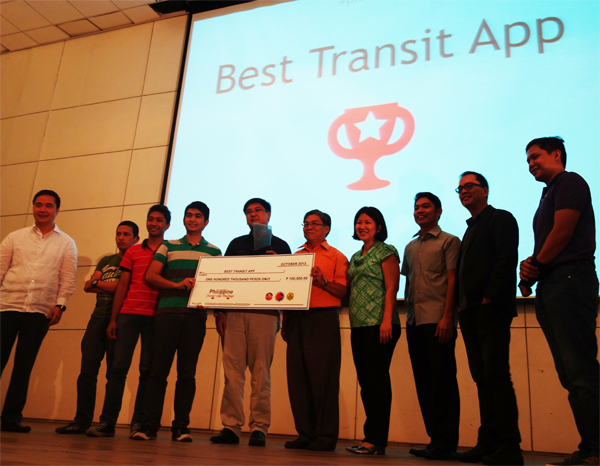 We are proud to announce that Trip Barker bested ten other finalists to win the “Best Transit App” prize in the recently concluded Philippine Transit App Challenge organized by the Department of Transportation and Communication. Trip Barker took home the Php 100K grand prize, a trophy and a nomination to the Mobile Premier Awards in Spain on February 2014. We thank everyone for supporting Trip Barker and we are excited to bring you more features in the coming weeks! 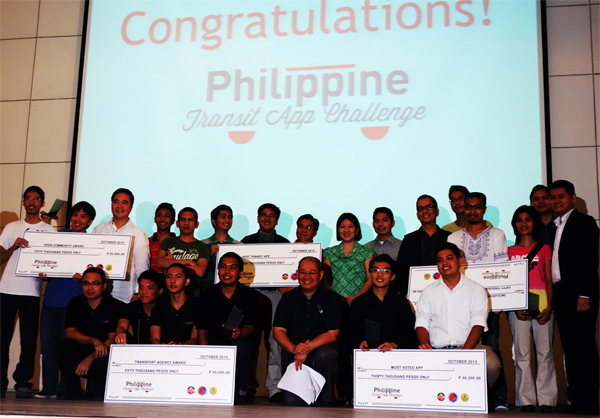 Tagged appcircus philippines, dotc philippines, dotc transit app, gtfs philippines, philippine transit app, philippine transit app challenge, transit app winner, trip barker, trip barker win. Bookmark the permalink.